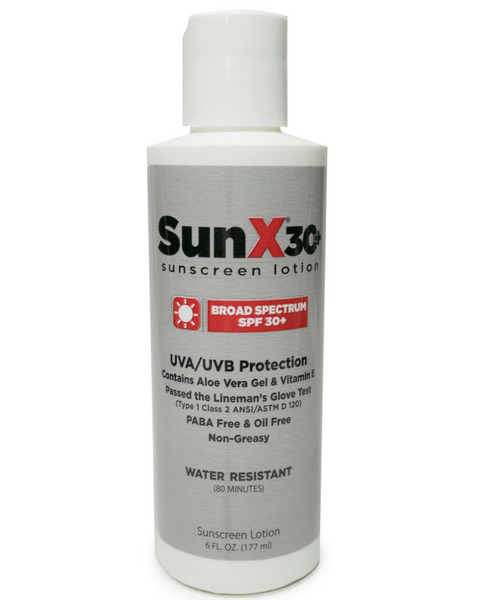 This water-resistent sunscreen is oil-free and is the ONLY oil-free sunscreen available. It's your go-to sunscreen to use during the VLCD phase of the HCG diet! 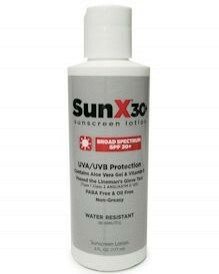 SunX formula earned the Skin Cancer Foundation approval. Apply sunscreen at least 15 minutes before going outside. Liberally apply sunscreen to exposed areas. Apply sunscreen first before applying insect repellent. Contains Aloe Vera Gel and Vitamin E.
Active ingredients: Octyl Methoxycinnamate, Octyl Salicylate, Benzophenone-3.